We lost the opening goal to the visitors’ first attack after 20 minutes but took control thereafter. The sucker punch came with 20 minutes remaining but Pearson’s consolation came too late. Lasley almost earned a point with a blockbuster but he was robbed of the glory by a fine save. Kennedy replaced Law at right back and Cadden made an impressive contribution at right midfield and he can take some consolation despite the loss as he was awarded the man of the match award. The opening spell provided little of note but when County delivered a long corner Irvine was waiting to collect. He drove the ball into the mix and into the net. It had a touch of good fortune and was hardly deserved but it gave McIntyre’s men something to defend. We worked hard for an equaliser and peppered Fox’s goal. Moult headed wide, Cadden had a decent low drive saved and McManus got in on the act with a header. Later Johnson delivered a couple of fine crosses but we could not convert. 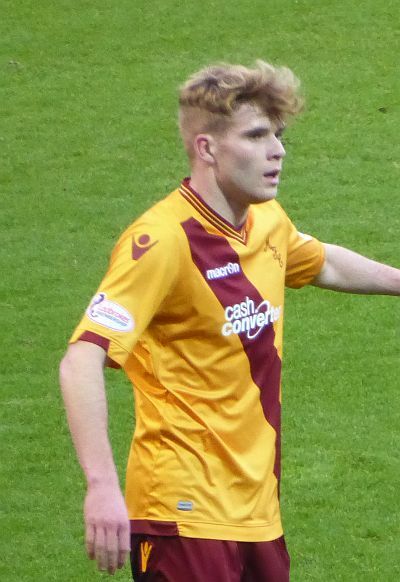 Cadden sent a teaser into the six yard box and Fraser’s defensive header almost hit the bar. By this stage it was clear that County were relying of breaks from defence to provide a second goal and there were clear signs that we had to be alert. Gardyne might have added their second and Ripley had to produce an excellent stop when a goal looked likely. Hammell caught an injury and was replaced by Chalmers in 66 minutes and we then conceded when Graham finished from close range. The two goal deficit seemed harsh but our inability to find the net was the cause of our downfall. With four minutes remaining Johnson’s corner was headed back by Kennedy and Pearson finished from 12 yards. County killed the game and took the points. There was no lack of effort on our part but the strike force failed to breach a big resolute defence and we travel to Dens next week looking to avoid a third straight loss.